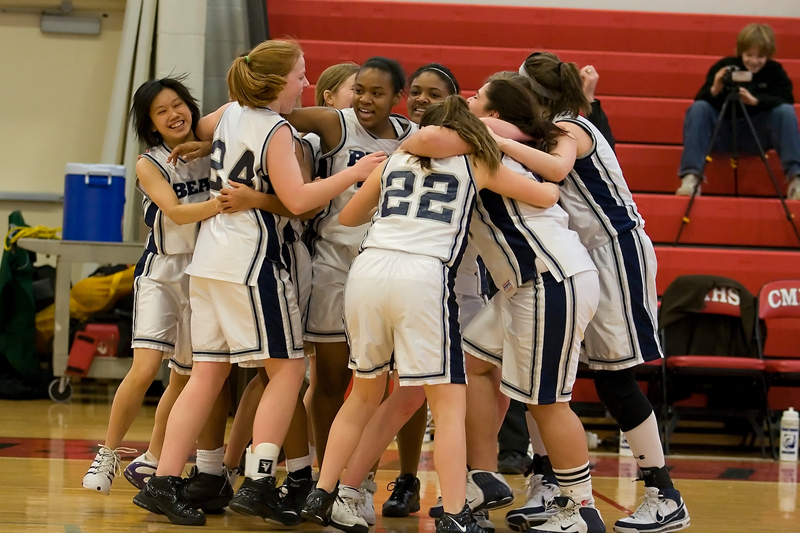 On this day 7 years ago, the girls’ basketball team won the Class C/D Championship with a convincing 54-27 victory over Shelter Island. Danielle Spiliotis led the Bears’ offense with 28 points while Candace Baker anchored a stingy defense. Here is a recap of the game from Brett Mauser of Hamptons.com. During the regular season, Stony Brook presented the Shelter Island girls basketball team with its toughest competition, defeating the Indians convincingly both home and away. In the Suffolk Class C-D Final, SI faced perhaps the most difficult opposition it will face in the playoffs – the very same Bears. The result was the same for Shelter Island, this time a 54-27 decision in the teams’ showdown at Center Moriches. Stony Brook revealed exactly what the Indians need to polish up in preparation. Each team had its star – Danielle Spiliotis (28 points) for Stony Brook and senior guard, Tina Rando, for Shelter Island (6-13). Rando led the offensive charge with 19 points, including four three-pointers. The biggest difference for the Bears was the support Spiliotis’ teammates provided. Candace Baker chipped in with 10 points while Sadie Singer had eight. Stony Brook’s defense held one of the Indians’ top options – junior Kaitie McGayhey – without a point. It was only the beginning of their defensive accomplishments on the day. Aside from Rando, the Indians scored just nine points. Shelter Island itself did a tremendous job defensively in holding the Bears at bay in the first half. They began finding Spiliotis more frequently in the second half, and Spiliotis found her offensive groove, scoring 20 of her game-high 28 after the break. Danielle Spiliotis scored her 1,000th career point on her first basket of the game for Stony Brook (16-3) in the Suffolk Class C-D final. Spiliotis shot 10-for-10 from the free-throw line and finished with 28 points and 11 rebounds. Candace Baker had 10 points and eight rebounds.